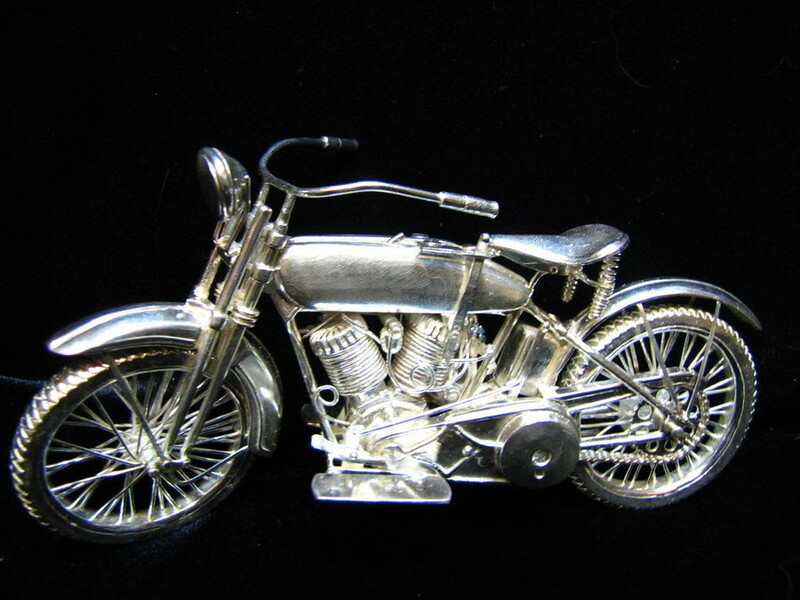 These highly detailed miniatures of motorcycles are hand crafted in sterling silver. 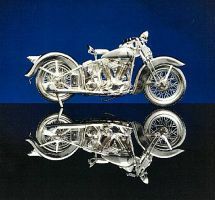 There are five different models. All have moving parts much like a toy would have. 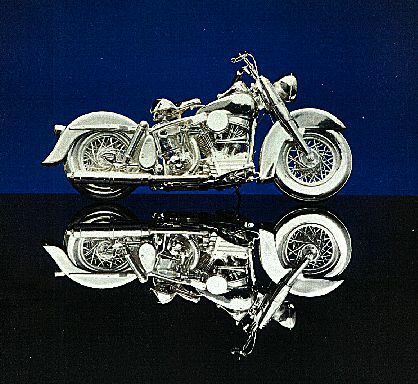 18K Rose, Yellow and white gold 1936 Knuckle-head.